1 What is Dirty Electricity? 2 How is Dirty Electricity created? Dirty Electricity is actually a Mid-high frequency (100Hz-100000KHz) electric noise that make it's way over the house electric wires and that is created because of the way that electronics and none linear electric consumers works (electric consumers like switched power supply, computers, CFLs , other electronics) and also from external sources (like RF sources next to power lines). This noise is carried over the electric wires all around the house and since the noise frequency is higher than 50Hz (relatively to 50 or 60 Hz electric frequency) the electric and magnetic fields that are created by these currents can cover all the room. It is possible to measure the electric and magnetic noise also 2 meters from the wires (walls), while it is usually possible to measure the ELF fields only half a meter from the wall. picture – Dirty Electricity (in blue) after being separated from the 50Hz signal (red). Before buying Dirty Electricity filters and meter please read this page! Please note that the filters them selves emit some low level of ELF EMR, so you need to keep at least 50cm safety distance from them. For EHS people we recommend to first try out several filters before ordering a big number of filters. If you in USA or Canada you can use our Amazon Shop to order Dirty Electricity filters and meters. Dirty Electricity is created as a side effect of the operation of none linear power electric consumers and electronic-electric compliances. Devices such as computers, CFLs, switched power suppliers dimmer switches, step motors, electronic equipment and other create Dirty Electricity. 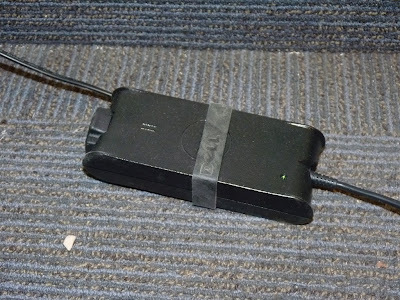 A swished power converter, for example, works like a small electronic power switch that switches the power off whenever it accedes several volts, and then switch it on again when it declines. Each of these On-Off switchings creates a short voltage pick. When it happens, again and again, it creates a cycle of picks and bursts in high frequency. 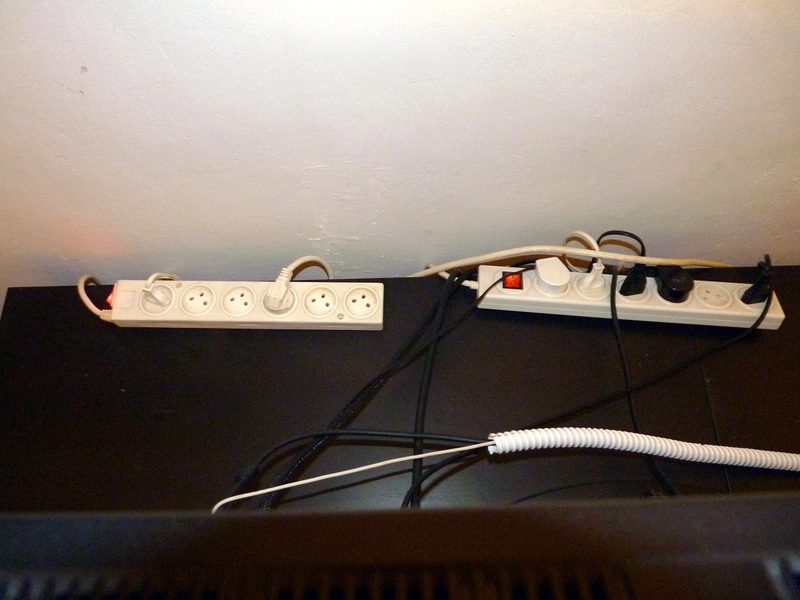 Transporting computer networks over home and high voltage power lines also contribute to the level of Dirty Electricity. In some cases, even RF transitions near a power line or electric wires crate Dirty Electricity. For example installation of Cellphone antenna on the power line polls will cause high-frequency noise over the power lines, therefore will create Dirty Electricity that will make its' way to the nearby buildings and apartments. Dirty Electricity may cause general health decline, cause health symptoms to become more drastic, special in neurological conditions and EHS (Electromagnetic hyperSensitivity). In order to reduce the creation of Dirty Electricity in your house, you need to use your electrical and electronics equipment wisely. Disconnecting dirty electricity sources from the power plug, cutting them off the power when not using them will reduce your exposure to the Dirty electricity they create only to the time you need to operate them. 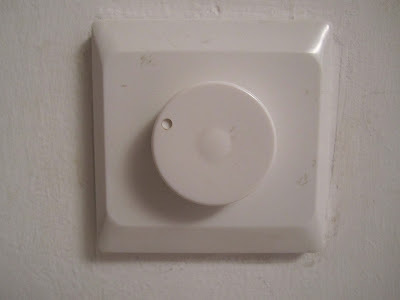 Changing equipment that creates lots of Dirty Electricity with similar equipment that create less Dirty Electricity, for example, stop using CLF and change them back to the old condescend light blob, switching your dimmer switches to On-Off switches will reduce the level of Dirty Electricity in your house. Picture – multi-socket power outlets with On-Off switches allow you to cut the Dirty Electricity levels by cutting the power from equipment when not using it. Measuring Dirty Electricity is possible by using an electronic scope combined with a low pass and a high pass filters. This will allow you to actually see the wave of the 60-50Hz electricity and the higher frequency electronic noise. 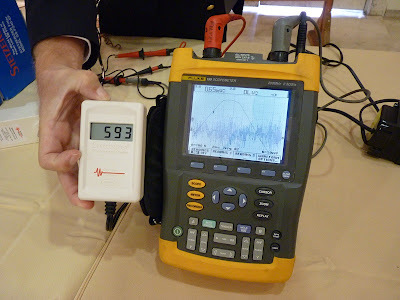 You will need to measure the electronic noise amplitude and main frequency (if exist). The advantage of using a scope is that according to the noise wave shape, frequency and amplitude, you can make an educated guess about the main source of the noise. The downside of using an electronic scope is that they cost a lot and aren’t easy to operate. A second way to measure Dirty Electricity is by using a specially designed meter that gives you a number that is calculated from the noise frequency and amplitude. As higher the number is the more Dirty Electricity is present. The advantage of using this meter is that it is very simple to use. In addition, the meter is much cheaper than a scope. Picture – on the left a Dirty Electricity meter. On the right an electronic scope. After doing some steps to minimize the levels of Dirty Electricity in your house, it is possible (and recommended) to filter out the remaining Dirty Electricity. 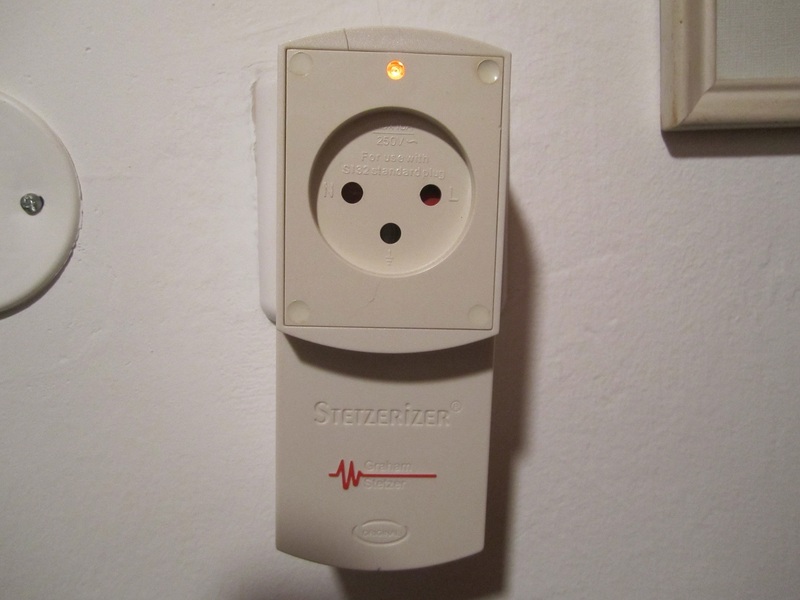 This is possible by plugging in special filters to the electric sockets in the walls. The filter directs the noise to the electrical grounding. The filters look like a small electric device and their shape varies from country to country. Before and after each filter is plugged in, you should measure the levels of Dirty Electricity in the relevant electric circuit. The operation should be repeated and more filters should be plugged in until the Dirty Electricity levels will drop to the normal level. In some houses, you will need more than 15 filters and in some only several. Since the filters are not cheap it is recommended to install them only after the levels of Dirty Electricity is minimized by unplugging sources of Dirty Electric from the electric supply and only then to measure Dirty Electricity and install filters. 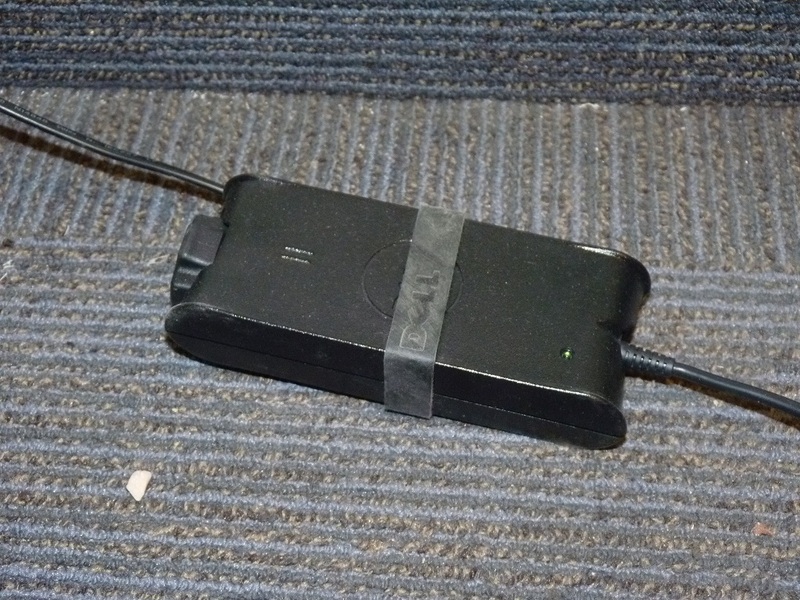 Link – Dirty Electricity Filters from the ELF protection page on this site. Depending on the size of the apartment, the complexity of the electrical systems in it, and the number of Dirty Electricity sources in it, each apartment needs a different number of filters. Before installing Dirty Electricity filters you need to Check the Dirty Electricity levels and then add filters until the levels will drop below 50, preferably less than 25. Please note that the filters themselves emit some low level of ELF EMR, so you need to keep at least 50cm safety distance from them. For EHS people we recommend to first try out several filters before ordering a big number of filters. To order Dirty Electricity filter and a meter from outside the USA and Canada, please fill in the form below and we will pass your request to a supplier near your current location.